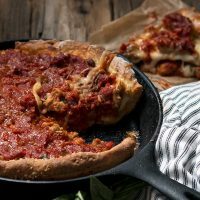 This Cast Iron Skillet Deep Dish Pizza is filled with cheese and sausage and uses a quick and easy homemade dough, all cooked up in a cast iron skillet! 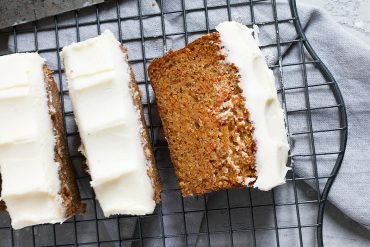 I first posted this recipe back in 2014 and it’s still my husband’s favourite :) Since I was making it for him again this past weekend, I took the opportunity to update the photos and do a quick video of it coming together in my kitchen. If you haven’t tried it yet, I do hope you get a chance to try it. It’s a great pizza! If you were to ask my husband, there would be no question that he would pick this as his favourite pizza. Oh sure, he eats my thin-crust prosciutto, goat cheese and arugula pizza and I think he likes it well enough. But this pizza – this is the one he really loves. I know that because he tells me that each and every time I make it. I can hardly blame him. What’s not to love? Layers of cheese, sausage and bacon, topped off with a great pizza sauce and Parmesan cheese. It’s luscious, even to thin-crust, gourmet pizza loving people like me. Think of this one as an upside down pizza, as the cheese is on the bottom, followed by the meat and then topped with the sauce. While you may be tempted to put mozzarella on the top, trust me, a dusting of Parmesan is all you need, as there is plenty of cheese inside this one. The crust on this one is different from my usual pizza crust. First, it has cornmeal in it, with gives it great flavour and texture. 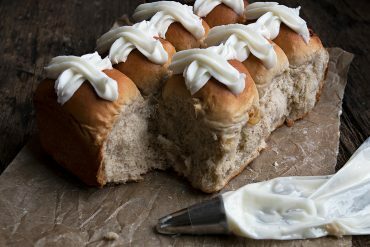 It cooks up to a crisp layer on the outside, but soft and a little more bread-like on the inside. As for the sauce, I’ve included a recipe for homemade sauce, but you can (and I often do) use store-bought pizza sauce. You’ll need about 1 1/2 cups of pizza sauce, or enough to make a generous top layer of sauce. This dough is also a nice quick-rise dough, so you don’t need to start it many hours ahead. In fact, if you start an hour out, you can make the sauce and cook the meats while the dough rises. Quickly assemble the pizza once the dough has risen for the hour and pop it in to the oven for 35-40 minutes. Once baked, this pizza is sturdy enough to be able to pop the whole thing nicely and easily out of the skillet and on to a cutting board. The amount of dough in the recipe below is perfect for a 10-inch top diameter skillet. It’s the perfect amount for a 10-inch skillet. 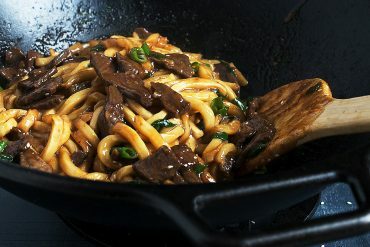 If your skillet is larger, it will still work, but be a little thinner, so cooking time may be a bit less. 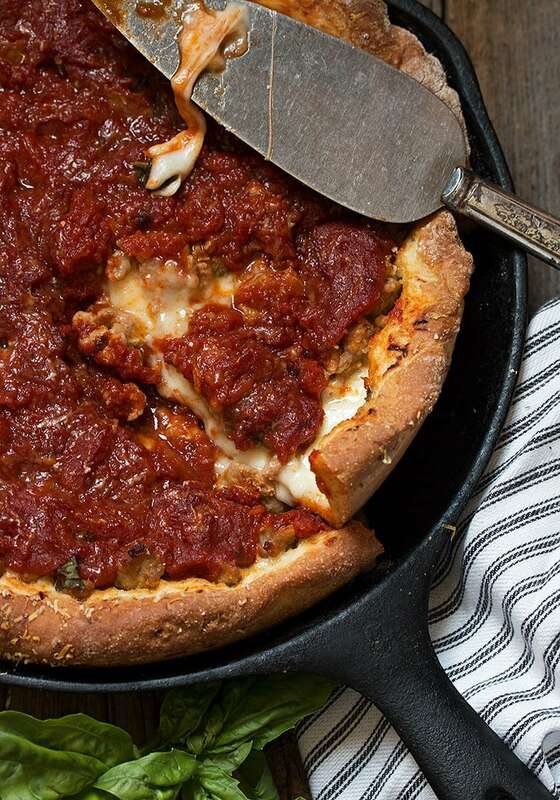 The crust on this deep dish pizza is a special, thick, almost bread-like crust, so it isn’t your typical pizza dough. 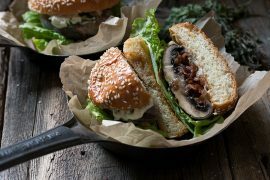 It’s perfect with the hearty fillings and part of what makes this dish sliceable :) As such, while you could use a ready-made pizza dough in place of this one, it will cook and taste differently and may not hold up as well with all the fillings. Be sure to cut your mozzarella cheese in thick slices – 1/2 inch or so – to get the full, ooey gooey, melted cheese experience. This is a deep and hearty and meaty pizza. Use the homemade pizza sauce recipe included or feel free to use a store-bought pizza sauce. For those wanting even more meat, a layer of pepperoni would be very nice in this pizza, as well. If you are using active dry yeast, combine the yeast in the water and let sit for 5 minutes. For instant yeast, you can just combine the yeast with the dry ingredients. 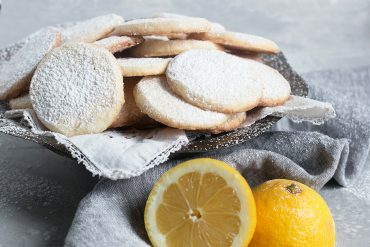 In a large bowl or the bowl of your stand mixer fitted with a kneading hook, combine 1 cup of the flour, cornmeal and instant yeast (if using instant). Add the water (or yeast/water if using active dry yeast), olive oil and honey or sugar. Stir until moistened. Add more flour in 1/4 cup increments until you achieve a soft dough that is neither sticky or stiff. Remove dough to a well-oiled large bowl and let rise at room temperature for 1 hour. While dough is rising, prepare the pizza sauce. Empty the can of tomatoes into a mixing bowl and coarsely crush the tomatoes with a fork or your hands, leaving them just a little chunky. In a heavy bottom 2-quart saucepan over medium-high heat, add the olive oil. Add the onions and saute until slightly translucent. Add the garlic and saute about a minute until golden. Add the crushed tomatoes. Stir well and bring to a simmer. Season with salt and pepper, to taste. Add the fresh basil and oregano. You can add a touch of sugar if tomatoes are tart. Simmer on a low, stirring often for at least 15 minutes. Remove from heat and allow to cool at room temperature until needed. While sauce is simmering, cook your sausage. If your sausage is links in casing, cut a slit down the casing and remove the sausage from the casing. Discard casing. Cook sausage in a skillet, breaking up into small pieces with a spoon, until cooked and browned. Set aside until needed. 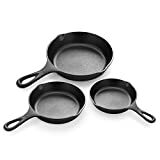 Preheat oven to 425° F. Grease the bottom and sides of cast-iron frying pan with olive oil and lightly dust with additional cornmeal. When dough is ready, scrape onto a well-floured surface (dough will seem sticky at this point, but will be fine with the additional flour on the counter. With a rolling pin, roll dough into a circle a little bigger than the bottom of your skillet. 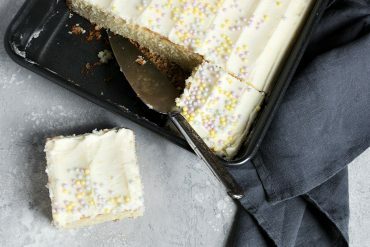 If it's sticky, dust with more flour as needed. Transfer dough to prepared cast-iron frying pan and press into bottom and up the sides about 2/3 of the way up. Cover bottom of pizza completely with a generous layer of mozzarella cheese. Top with sausage and then chopped basil leaves. Top with all of the pizza sauce and sprinkle top generously with freshly-grated Parmesan cheese. *You don't want your crust to extend too much higher than your filling, or the exposed part at the top will overcook. If it extends too high once your filling is in, push or crimp it down to closer to the level of your filling. Bake in pre-heated 425° F. oven for about 30 minutes. Check at 30 minutes. If crust is dark enough, cover loosely with a sheet of tinfoil and cook about 10 minutes longer, to be sure the crust is cooked. Remove from oven and allow to cool in pan for 5 minutes. Using a spatula, carefully remove pizza to a cutting board and cut into pieces with a sharp knife. I recently found your recipe whilst browsing for things to make in my new skillet, literally just finished eating this pizza and oh my god it’s good! Thank you so much for this! I’d be asking for this again and again too Jennifer! It looks amazing. I never seem to grow tired of pizza! Thanks Chris and I have to admit, I do enjoy this one, too. A nice, hearty pizza! My oldest son Sean loves deep dish pizza Jennifer! I can’t wait to make this when he comes home to visit! It looks absolutely mouth-watering! Thanks Mary Ann and he will definitely love this one! I do love my thin crust pizza, Jennifer, but this? This looks so decadent! And all that cheese and cooked in a skillet?! Gotta try this one and I know my hubby will love too! 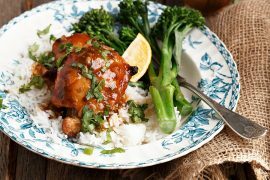 Great weekend recipe with a cold beer or glass of vino ;) Pinned! You are the master (mistress?) of the cast iron skillet Jennifer, this pizza looks epic and totally blows all those puny flatbread versions off the map!! Thanks Sue :) The skillet is the perfect pan for pizza like this! My hubby will love this! As will I, of course! Gorgeous pictures and fun video! Thanks for re-sharing this beauty! I have to say, this pizza looks incredible. I’ve had the real deal in Chicago and often dream of eating it again some day. Maybe I just need to make my own! LOVE your video :) Your husband has good taste! Trying to make a skillet pizza today – hope it turns out great like yours :) Pinning! No, but feel free to add a bit if you like. This was outstanding! Thank you so much for sharing your recipes. I have made this and the garlic chicken and both made for a perfect meal. 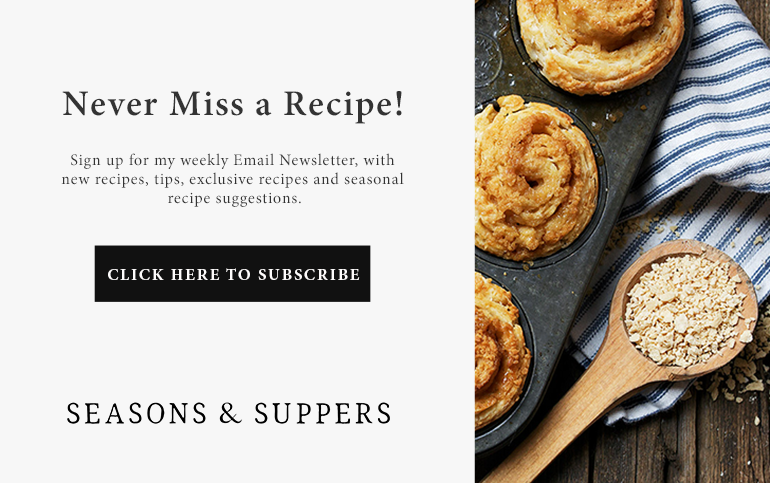 With great appreciation, I look forward to making more of your delicious recipes!! I made this for dinner last night. It was incredible! My husband and I ate over half of it. Thanks for the terrific recipe. Jennifer, I think I physically swooned when I saw this because it made all my pizza dreams come true! 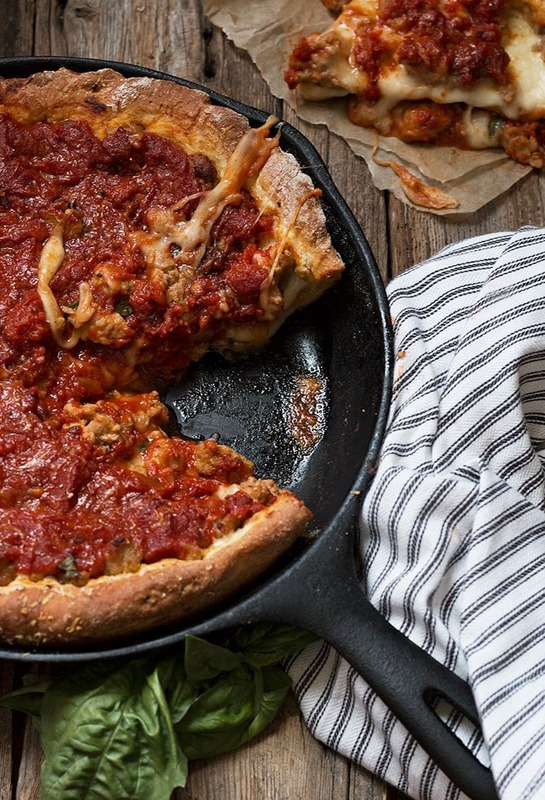 Your husband is right to love this :) I have only made deep dish pizza once at home and it was mostly all a plan to seduce the man who would eventually became my husband. Worked like a charm! Can’t wait to try this. That’s hilarious, Amy :) This is definitely man-wooing food! 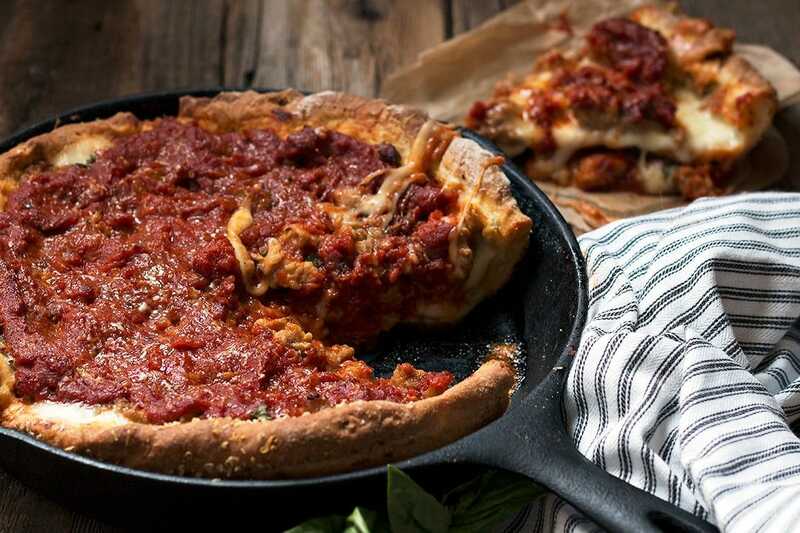 never thought about baking the pizza in a cast iron skillet, sounds like a really great idea, love this! Thanks Cheri. Hope you can try it! I love the idea of baking pizza in a skillet, what a great idea! Thanks Laura. It cooks pizza perfectly! No way, girl! I JUST made deep-dish pizza last night, in my cast-iron for the first time ever! It made SUCH a huge pizza! I wish I had read your tip about not letting the dough up the sides higher than the filling…. but I learned my lesson. What a feast! Mine had Italian sausage, black olives, onions and peppers and mushrooms. It was way too much filling. Or maybe that’s how deep-dish is really supposed to be? ;) This post came at such a fun time, I’m sure your husband LOVED it and I’m sure mine would, too! Will try your version next time! That’s weird timing! :) I’m probably a purist, but my favourite version of this pizza is just with the sausage and bacon. The crust on this one is different from regular pizza. Love the cornmeal in it and it’s thick enough to hold all that stuff in. I imagine baking pizza in a cast iron skillet gives the crust an altogether different crispiness that I know we would love on a “mans” pizza like this one or any combination of toppings we like. Cast iron does make a great crust, for sure. We have thrown all manner of things in to this pizza. I’ve found it works best to put extras on the inside, rather than on top. 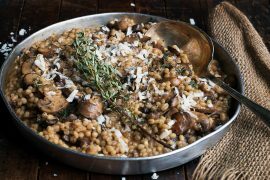 Sauteed mushrooms or olives are great in this one!